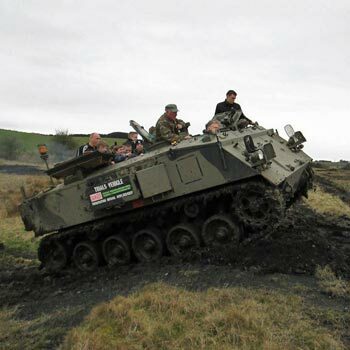 If you’re an action man/woman and long to drive a tank, powering tons of merciless metal on tracks over the roughest terrain or obstacle course, but don’t have deep pockets, then check out this range of tank driving experiences all at under £100. Well first you get a short safety briefing, as it’s vital you come out of this experience all in one piece. Then you get instruction in how to drive a tank or an armoured vehicle and you get let loose with the metal monster to do your worst. At under £100, as you’d expect, you don’t get a huge variety of vehicles to drive on your tank session, and you don’t get very long driving them either – say 45 minutes to an hour right-foot-down time on average – but what you do get is a fascinating introduction to tanks and to the sensation of powering one of these armoured monsters across unforgiving terrain or round a purpose-built obstacle course. It’s a taster session that will probably leave you wanting more, and is a good experience to try or give someone if you’re not sure whether tank driving is really as enjoyable as it looks (and yes, we think it is!). So if you don’t want to spend the £250 or so that the Full Monty tank day costs, then this is good value for money and a good introduction to tank and armoured vehicle driving. 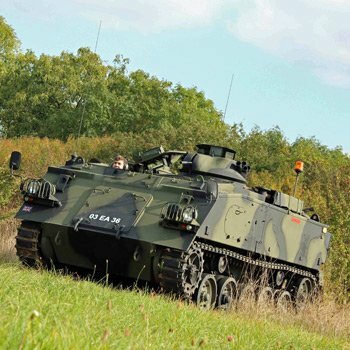 As you’d expect, the contents of many of these experiences are different, using different tanks and armoured vehicles on a variety of terrains and courses, but they are available up and down the country, so we suggest you check the list below, find the ones in your price range and check out the location and what you actually get for your money. What are the cheapest tank driving experiences then? We’ve brought all the available experiences under £100 together in one place for you, with prices updated in real time, so you’ll know you can’t buy cheaper and will be the first to see and take advantage of any special offers. Note that special offers can end at any time. And remember that we only use the top experience providers that we know will give value for money and a first class experience so you should have a really good time and be well looked after. At under £100, these experiences make excellent gifts for the active and outdoor type, whether they’re military-minded or not, and will make a welcome change from sweaters, socks, CDs, DVDs, XBox games and the other stuff that is forgotten within a week or two. Photos and videos will make sure the memory of a tank day like this lasts and lasts. 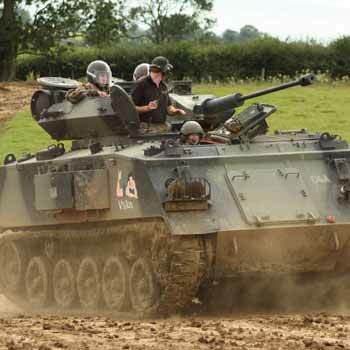 Cheapest tank experience – tank driving for under £1004.5Sarah FirminTank driving experiences for under £100 – a cheap way to experience tanks and armoured vehicles first hand. makes an excellent original gift idea too.